The Giant Panda Protection and Research Center in China is hiring someone for an annual salary of $32,000 to spend every waking hour hugging and playing with baby pandas. 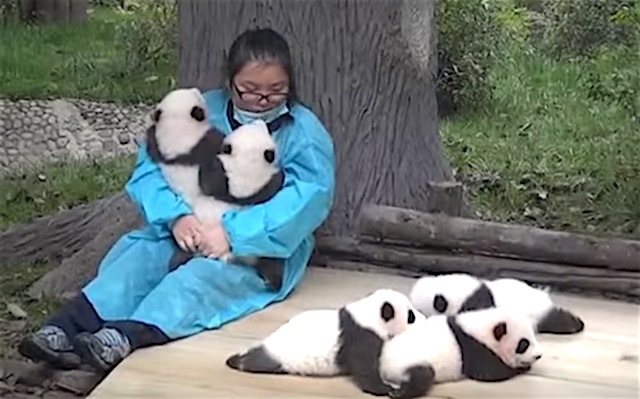 Whoever lands the job will be working year-round alongside volunteers from the U.S., Europe, and Japan who only get to be panda nannies for a week or two at a time. That surly has to be the best job in the world!!? ?